Havn’t wruting here for a while, but I do promise a comeback! 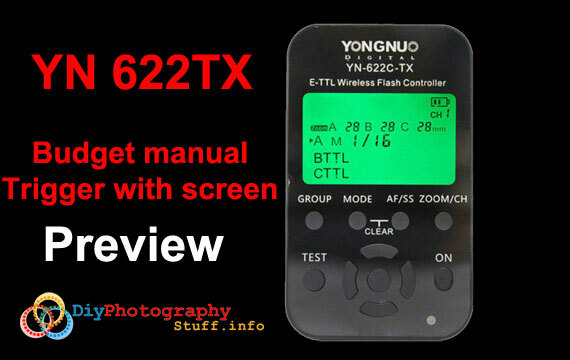 This time I want to talk about the YN622TX and give a short review about this cool new flash trigger. 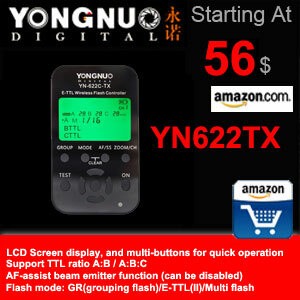 YN started their flash triggers adventure with superb YN603 trigger that offered a simple manual flash trigger to all strobists fan out there. The trigger was affordable and sold for about 15$!!! All you had to do is setting your flash to the deseared manual power and attach the RF603 and of you go, strobist setups on budget. I have to say that I’m still using this “achent” trigger. The next huge leap by YN was the leap they made with the YN622!!! This piece came out around 2012 and made a big revolution it the radio trigger area. The only triggers that offered its specs where the pocket wizards who cost 4+ more. The YN622 offered caontrol on flashes power via camera menu for the manual guys, or simple TLL for the ones who like it auto. The only thing they where lacking was a screen. I reviewed here a infrared manual control trigger with screen : the debao ST-e2 but as menioned in the review, has no HSS and works on infra red rather than the radio signals with the YN622. Has a AF assist beam! If you are anikon guy you’ll find out that the YN costs less than fourth of the SU-800 , buy two units and you are done!! !